A significant amount of education dollars is dedicated to a diverse set of platforms delivering content to help prepare the next generation of students for a higher level of learning. 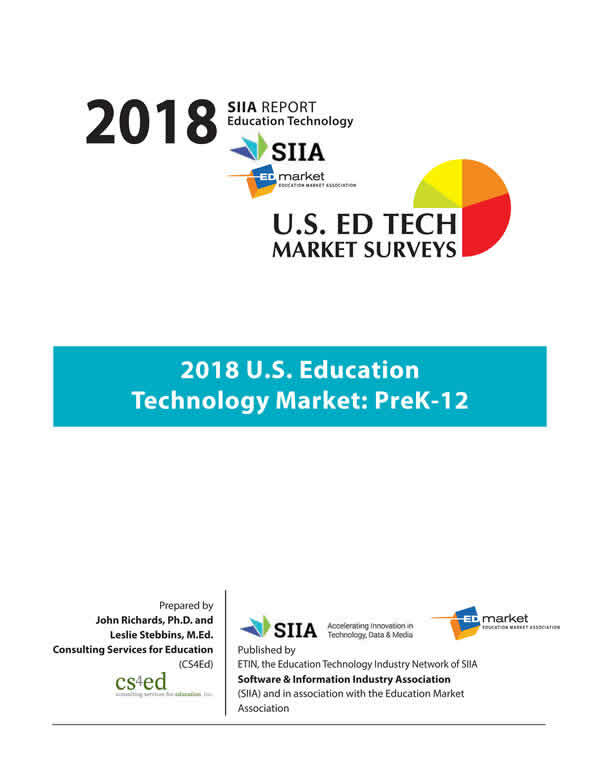 Designed to measure the size, scale, and ongoing trends in U.S. preK-12 institutional market with data collected from the 2016/2017 school year, this study addresses education software, digital content/resources, and related services. Companies, especially those entering the market, will be able to access information about the market in general and be able to get a sense of where they fit in this environment. 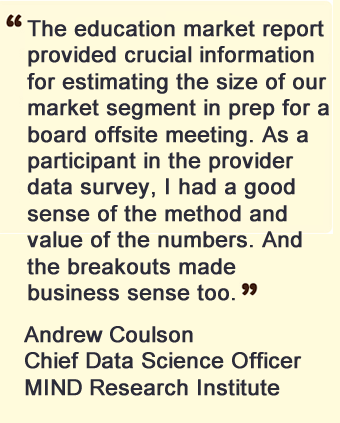 They will also be able to identify growth areas, trends and changes in the market. The Education Market Association connects people who want to succeed in the education market by providing events, resources and leadership to those serving education, for more than 100 years. 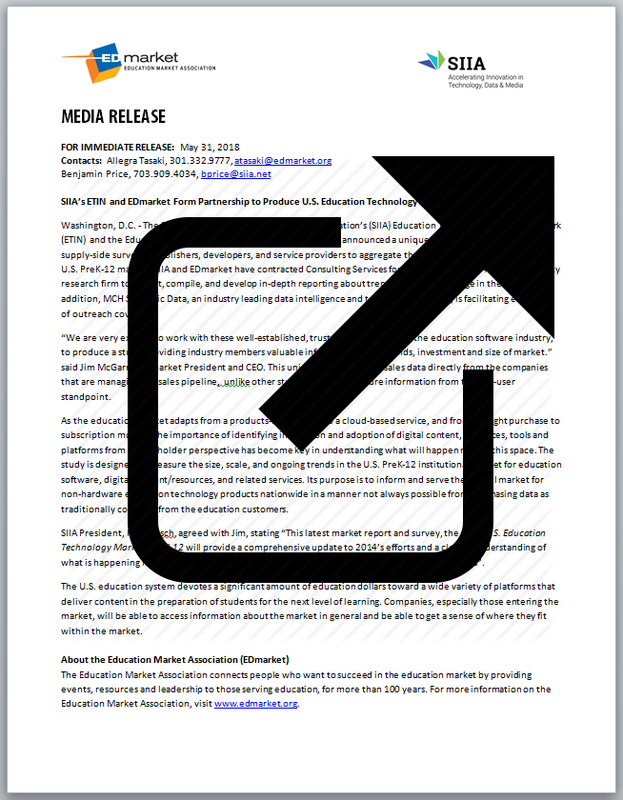 For more information on the Education Market Association, visit www.edmarket.org. The Software & Information Industry Association is the principal trade association for the software and digital content industry. SIIA provides global services in government relations, business development, corporate education and intellectual property protection to the leading companies that are setting the pace for the digital age. 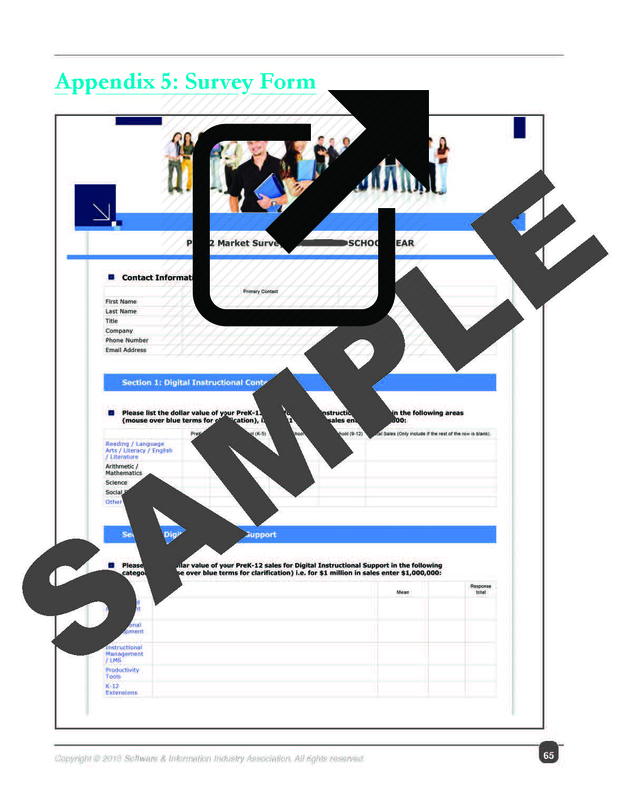 Visit www.siia.net for more information. The Education Technology Industry Network of SIIA represents and supports developers of educational software applications, digital content, online learning services and related technologies across the K-20 sector. Visit www.etin.net for more information. Consulting Services for Education, Inc. (CS4Ed) provides business planning services, market research, product analysis and evaluation, and product development to publishers, technology developers, program managers, and educational organizations (www.cs4ed.com). 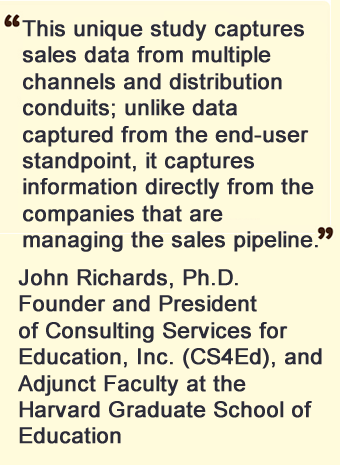 Founder John Richards, Ph.D. and CS4Ed's senior staff has experience in both K-20 education and the realities of publishing, project management, and research. The company combines academic quality with product development experience.